Steven Bowditch will return to the site of his last professional victory, the Wollongong Golf Club to defend the NSW PGA Championship title. Bowditch was impressive last year when he shot 17-under par to win the NSW PGA Championship by two shots overcoming tough conditions and a shoulder injury. He will call on that experience this year when he looks to defend his title. 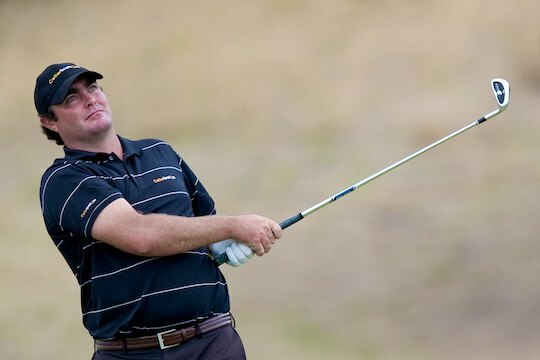 “I have fond memories of Wollongong from last year and I am really looking forward to coming back in November and hopefully walking away with the title for a second time,” said Bowditch. Bowditch has spent the past year playing on the PGA TOUR in the US where he has had some solid performances making 14 cuts, one top 10 and five top 25′s. In his title defence Bowditch will face strong opposition from a field full of Australian stars including Craig Parry and Peter O’Malley. Also in the field will be NRL Sydney Roosters Captain, Braith Anasta. The +1 handicapper has spent the off season preparing for his tournament golf debut and will compete in the NSW PGA Championship as an amateur. The NSW PGA Championship launches an exciting three week stretch of golf in the state preceeding both the Emirates Australian Open and the NSW Open Championship. The tournament will be played at Wollongong Golf Club from Thursday 3rd November to Sunday 6th November 2011. The field will by vying for their share of the $100,000 prize purse plus exemptions into some of the biggest tournaments on the PGA Tour of Australasia.